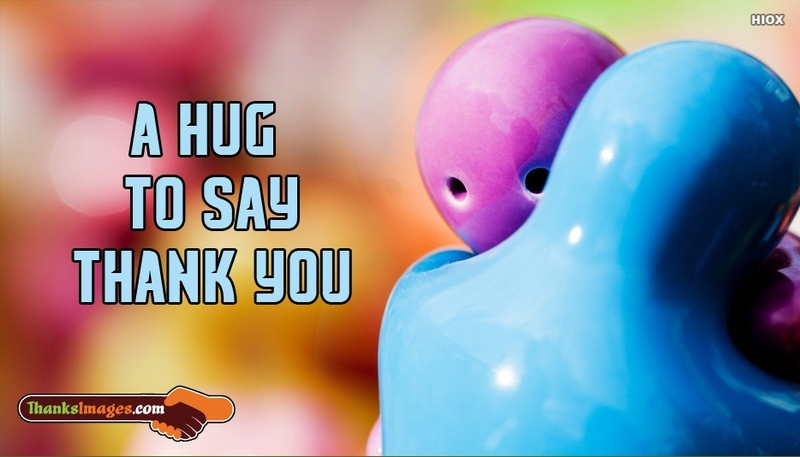 A cute thanking you picture expressing the gratitude in a hug. When you wish to hug your dear one for his/her love and support, here is the picture to send your hugs to him/her. The picture is beautifully designed to portray an art of two persons hugging each other with love and the message "A Hug To Say Thank You".